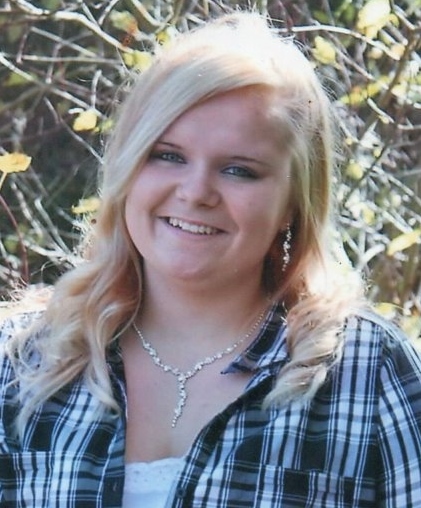 Ashley Cierra Ross, 24, of Clarington, died Monday, December 3, 2018 in Dubois. Born August 2, 1994 in Brookville, she was the daughter of Jeffrey D. and Michele Bailey of Shippenville and Paula Derice Ross and Joseph Schmader of Clarington; they survive. Ashley was a 2012 graduate of both Brookville High School and Jeff Tech., where she completed a program on digital media technology. She also obtained her CNA from Jefferson Manor. She was employed by the housekeeping department at Brookville Hospital. She was a member of the Fraternal Order of Eagles in Brookville and the Brookville Fireman's Club. She enjoyed photography, playing with her nieces and nephews, camping, and fishing. She was a movie buff and enjoyed music, and loved visiting the Outer Banks, NC. In addition to her parents and step-parents, Ashley is survived by her brothers, Matthew Shane Ross and his wife, Ariane, of Summerville and Richard Siple of Brookville; her sister, Dawnelle Bailey of Shippenville; her paternal grandfather, Delwin Bailey and his wife, Lori, of Hawthorn, paternal step grandfather Richard McClowry of New Bethlehem; and her maternal grandparents, Phillip and Deborah Ross of Clarington; and numerous aunts, uncles, nieces, nephews, cousins, and friends. She is preceded in death by her paternal grandmother, Linda McClowry. Friends will be received on Thursday, December 6, 2018 from 6-8 PM at the Furlong Funeral Home, 50 Broad St., Summerville, PA.
A memorial service will be held on Friday, December 7, 2018 at 11 AM at the funeral home with FOE Eagles Chaplin Andrew Strohm officiating.